FCRA Guarantees Your Right to Privacy | The Consumer Law Group, P.C. 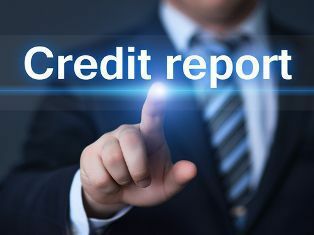 The Fair Credit Reporting Act (FCRA) was enacted to protect the confidential information on consumers’ credit reports from misuse, fraud, and theft. It gives consumers the right to ensure that the information on their credit reports is not only correct, but private. How does that work when you need to share credit report information in order to get a loan, rent an apartment, or get a job? Your privacy is protected with limitations on who can view your report and by allowing you free access to monitor your report. Who Can Get a Copy of My Credit Report? Employers or prospective employers may only request a copy of your credit report with your express written consent, and if they do request your report, they must provide you a copy of the report before they take any adverse action. The FCRA also guarantees your right to obtain a free copy of your credit report once a year, so you should never have to pay a service to provide you with a copy of your report. You also have the right to know who has received a copy of your report. Your credit report is a goldmine of information to potential thieves. It is important that you are aware of your rights and that you pursue rectification if there is a problem with who has received your report or with the information that is on your report. Contact The Consumer Law Group, P.C., if you need help understanding your rights or you feel that your rights have been violated. Call us at 804-282-7900 to get started.